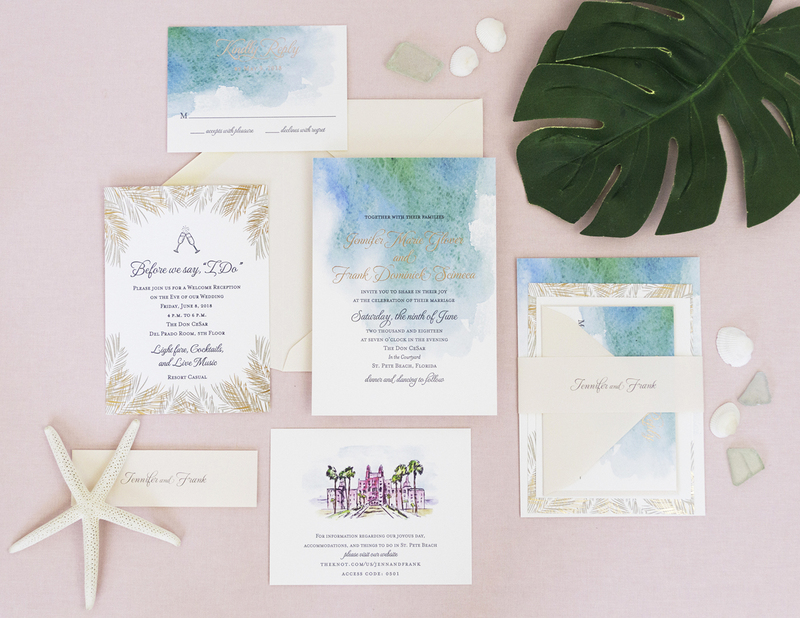 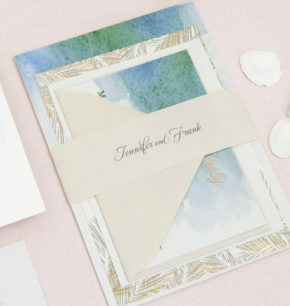 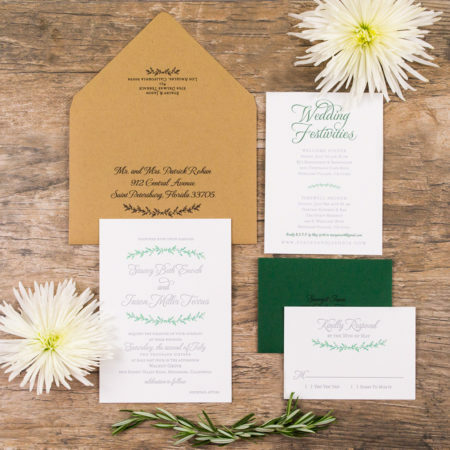 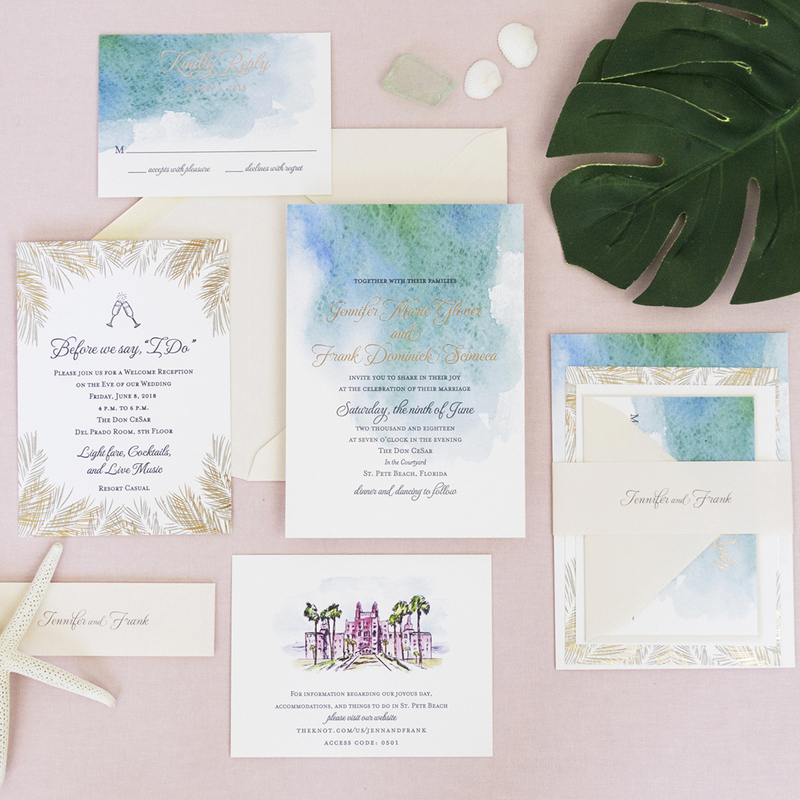 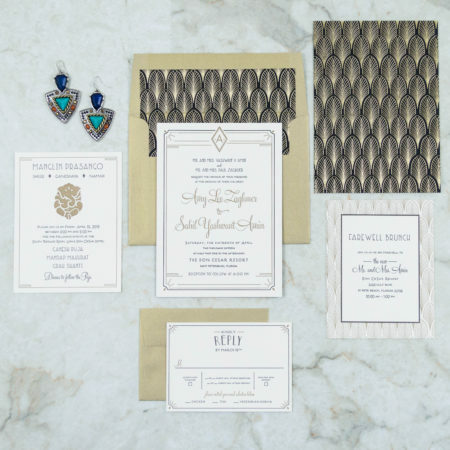 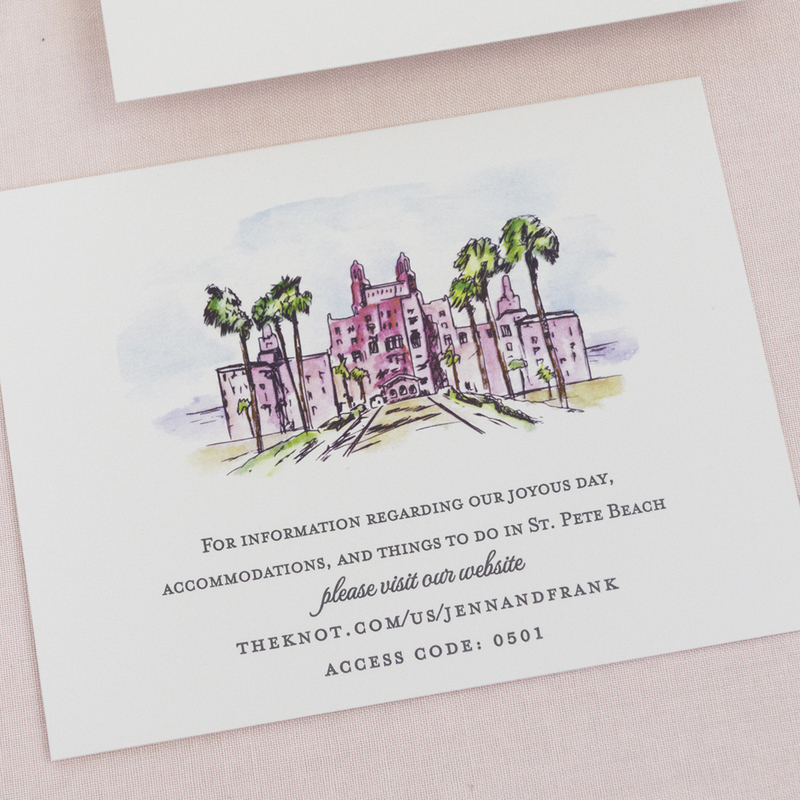 Jennifer & Frank tied the knot at the beautiful Don CeSar Resort in St. Pete Beach, and they wanted their paper goods to reflect the unique beauty of the historic hotel as well as the tropical beauty of the area. 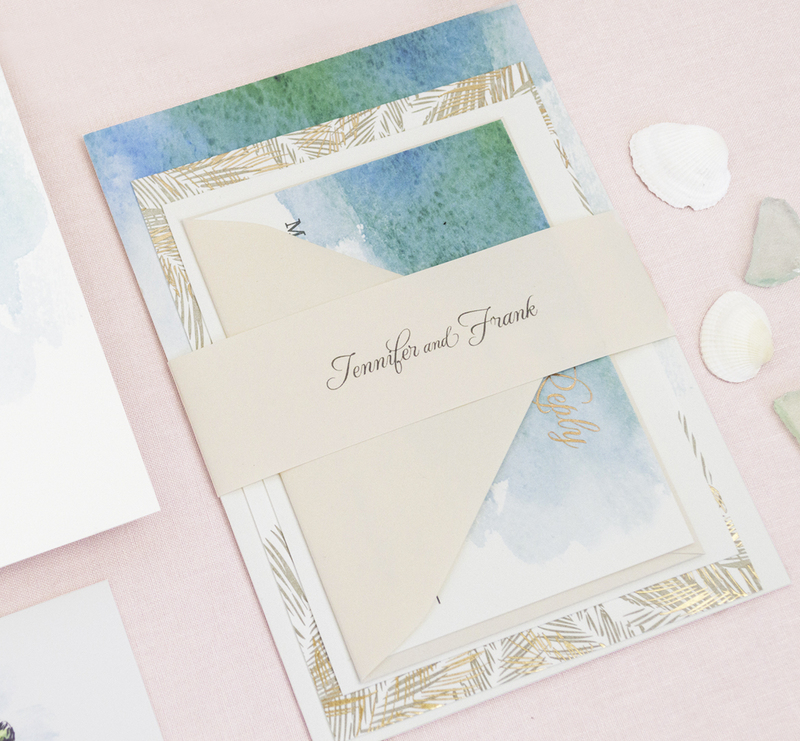 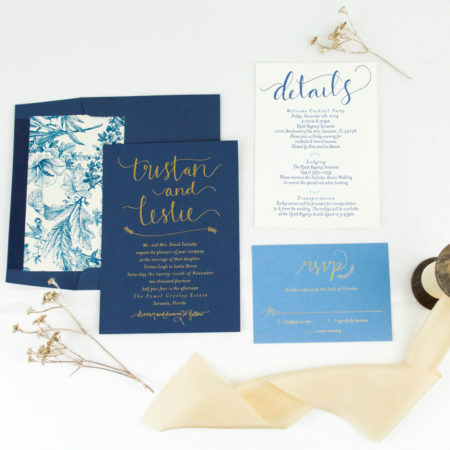 To bring their vision to life, we created an abstract watercolor wash displaying the beautiful colors of Tampa Bay’s pristine beaches, and we incorporated a mix of gold foil and letterpress details. 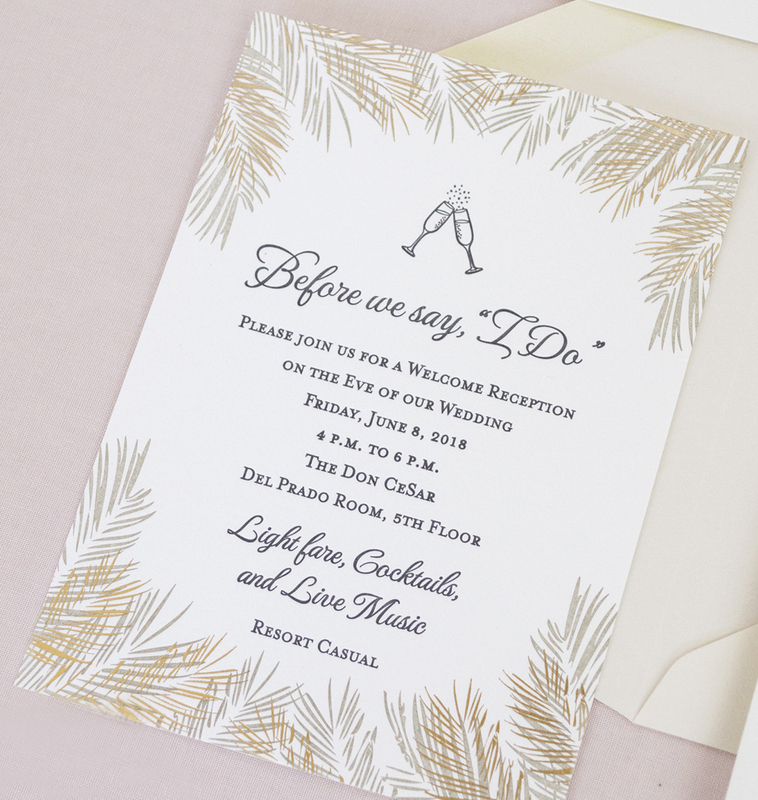 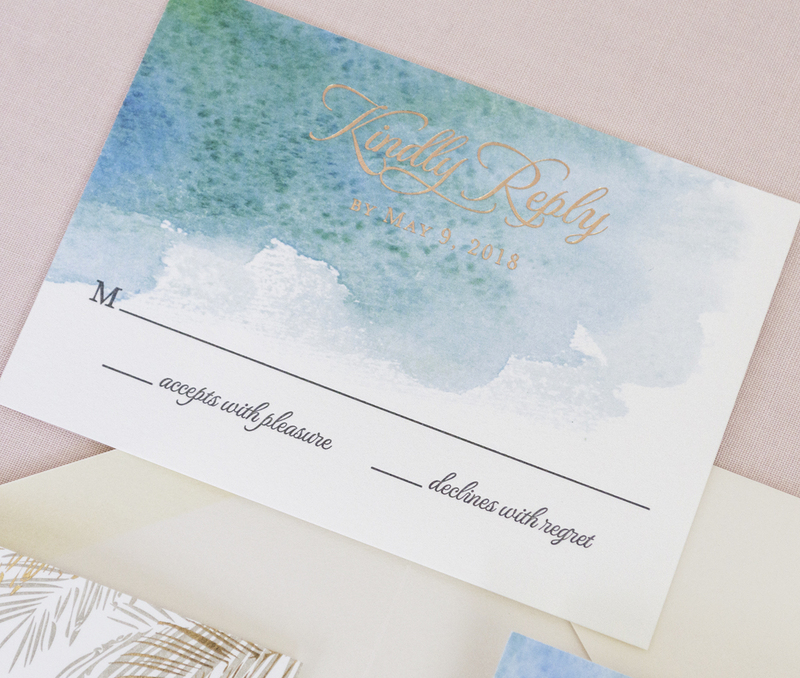 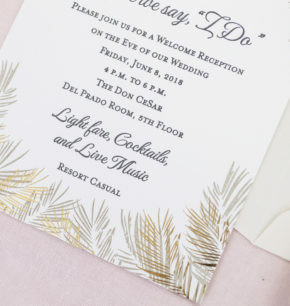 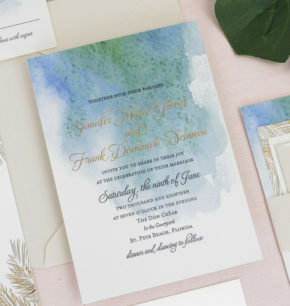 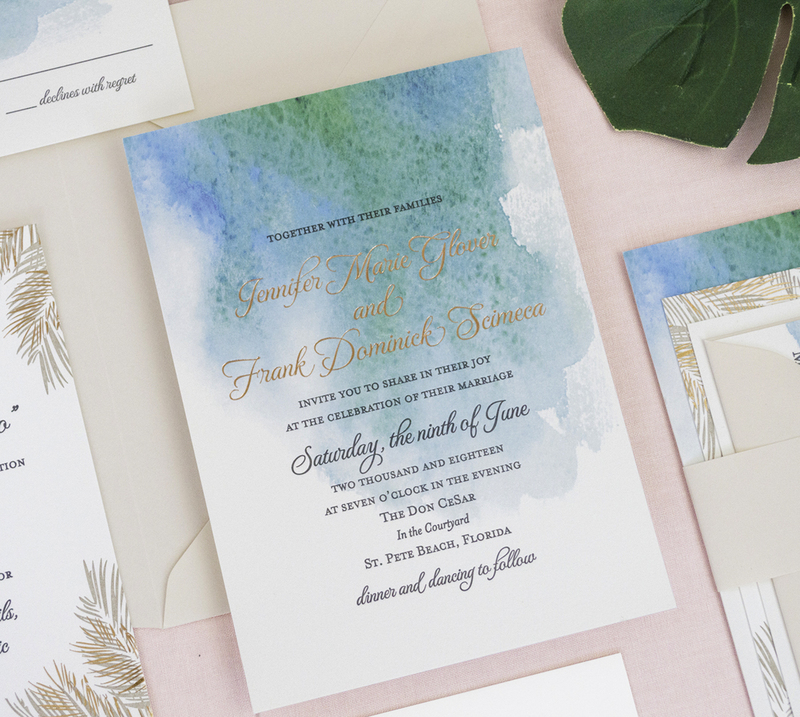 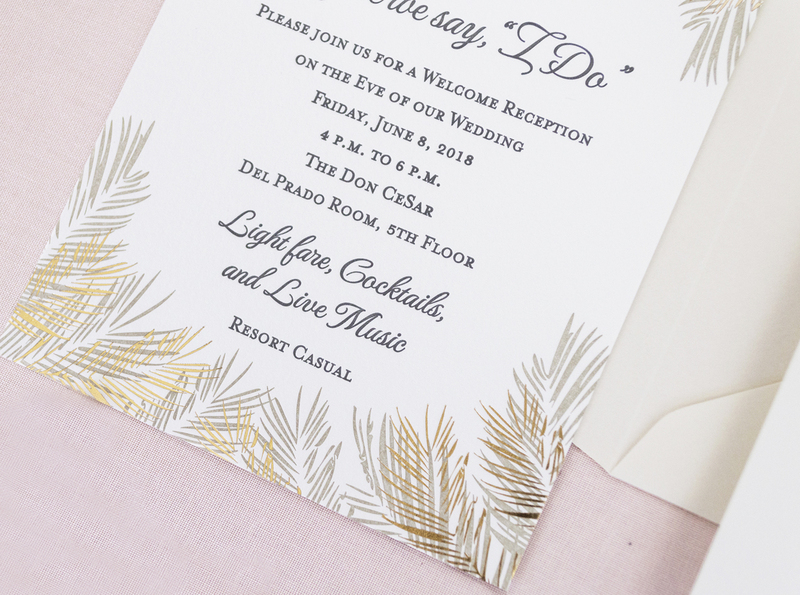 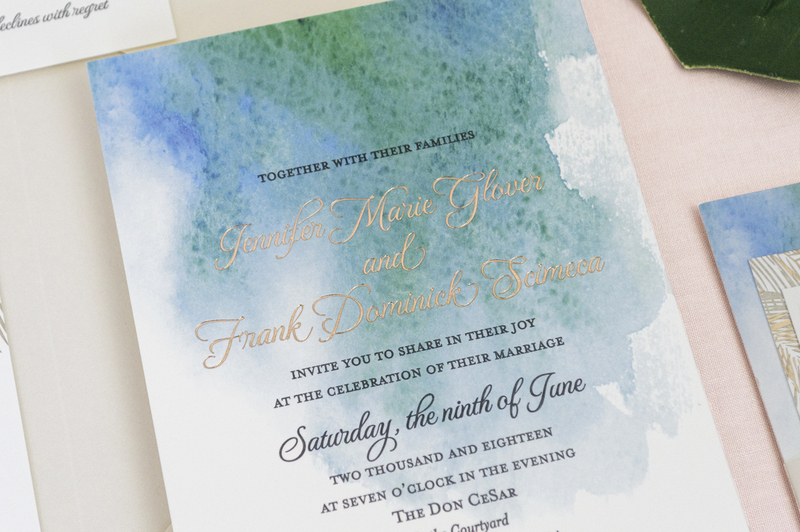 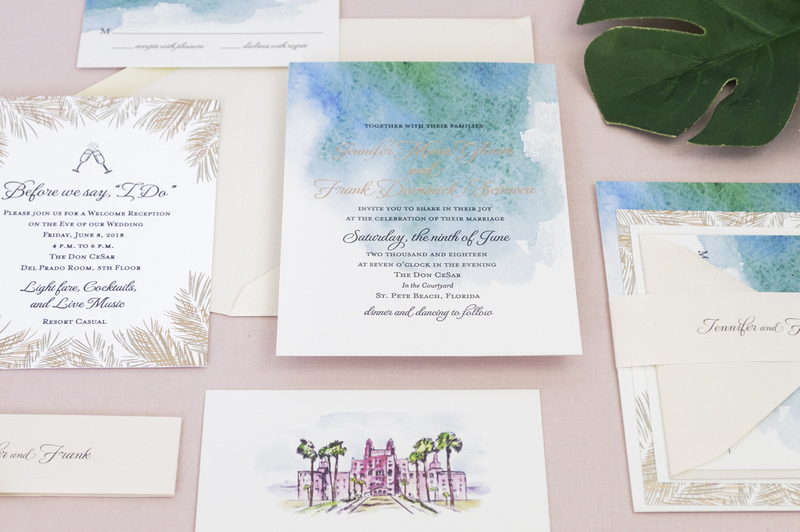 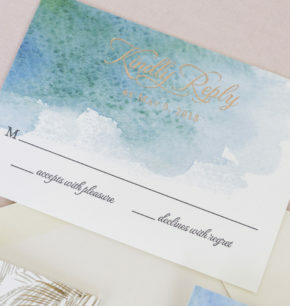 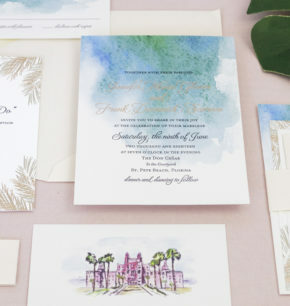 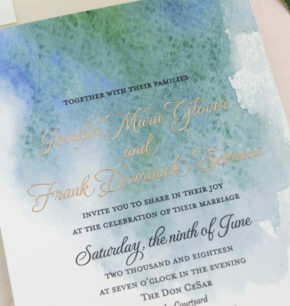 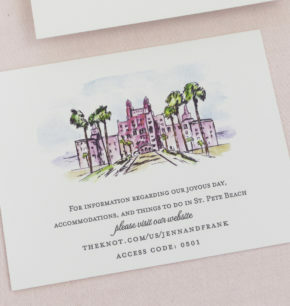 To further customize the suite, we created a watercolor image of the Don CeSar hotel to display on their wedding details card and incorporated a palms design on their welcome reception card. 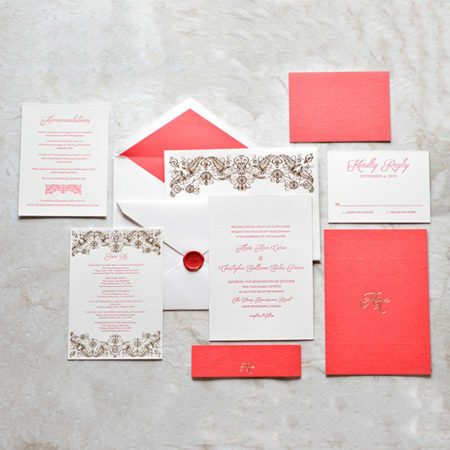 As a finishing touch, we wrapped the invitation suite with a blush bellyband and paired each suite with a matching blush envelope.